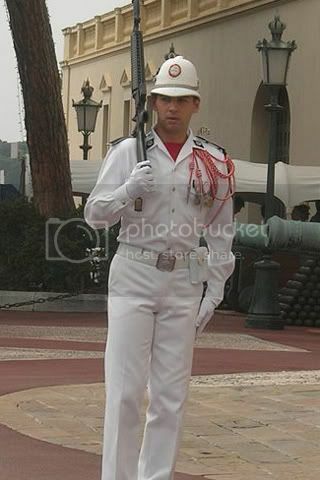 Summer dress helmet of the Compagnie des Carabiniers du Prince (Prince's Company of Carabiniers), the main ceremonial unit of the military force of Monaco. 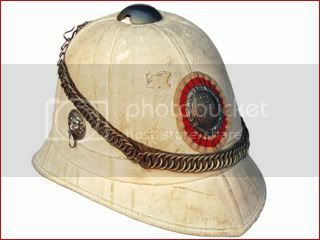 This pattern helmet is based on the French Model 1878 sun helmet, and remains in use today as the white summer helmet. 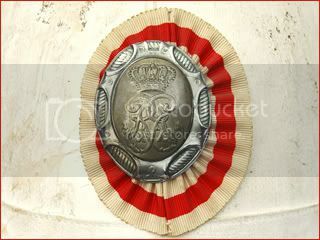 This example features the royal crest of Prince Rainier III.